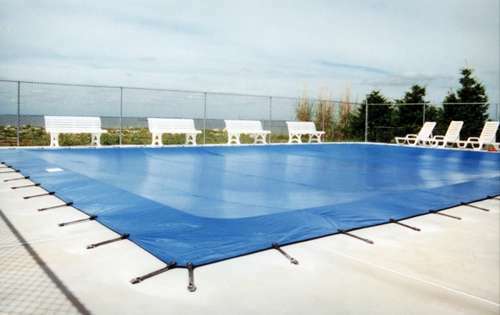 The isothermal cover pool, commonly known as summer cover or bubble cover, floats on top of the water of your pool. It is used during the warm season (spring - summer) to heat the pool water during the day and keep the water temperature at night. The slats cover opens and closes automatically. For electricity supply, there are two solutions, mains electricity or battery-operated.You can choose between an above-ground slats cover and an immersed slats cover. 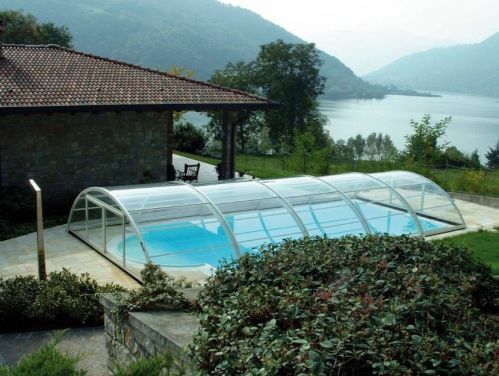 Pool shelters are one of four compulsory legal provisions to put in place to secure your pool. 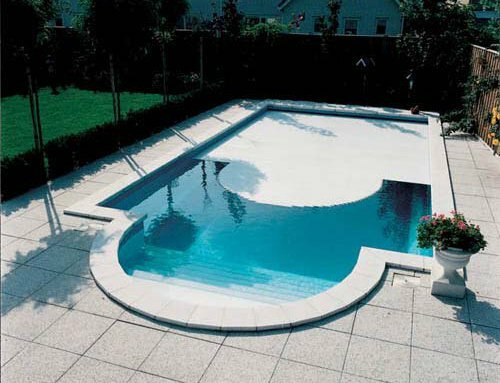 They are used to prevent access to your pool for children under 5 years-old and therefore avoid the risk of drowning. Real Piscines supply French and international products of the highest quality with guaranteed ease-of-use and reliabliity. Visit the RealHeating shop to find plumbing and heating supplies, including Hep2O push-fit pipe and fittings.